I loved the concept for this romantic suspense story. The idea of somebody stealing someone’s identity to escape your problems only to find yourself caught up in that person’s problems was incredibly intriguing to me. Crisis of Identity started off with a bang and kept me turning pages. Unfortunately, that’ didn't last. The author didn't take the time to develop the main characters. Tess, Trevor and Jake are very one dimensional people. I found it very frustrating that I virtually knew nothing about any of them. The author was very slow to reveal information about Tess and her background. It wasn't until halfway through the book that we start to get an inkling of Tess’ background, and then it seemed like a cardboard cut-out of a hard life. The plot that had so much promise became nothing but a series of attempts on Tess’ life and the books resolution left far too many questions unanswered. A second sub-plot was carelessly swept aside with little explanation. The romance in this book was practically non-existent. The author never built a credible relationship between the Tess and Trevor. After their first kiss he declares he loves her. Really? Why? Just when the couple finally begin to communicate Trevor disappears and doesn't reappear to the end of the book. The book was filled with grammatical errors and unrealistic dialogue. The strongest curse Tess uses in the book is “jeesh.” This from a woman whose boyfriend was a drug dealer, her mother was an alcoholic and her father was abusive? 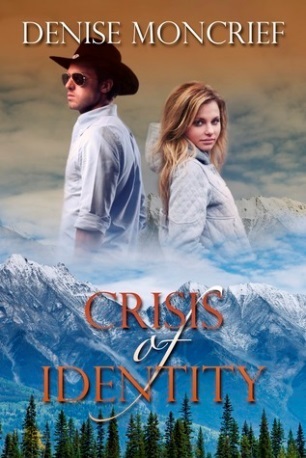 Crisis of Identity was a good concept that failed.